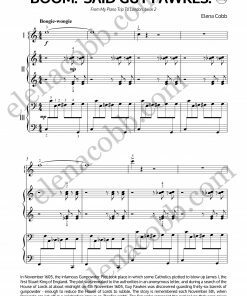 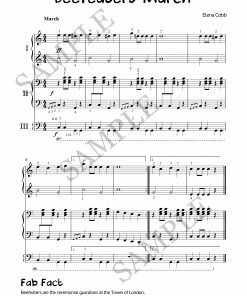 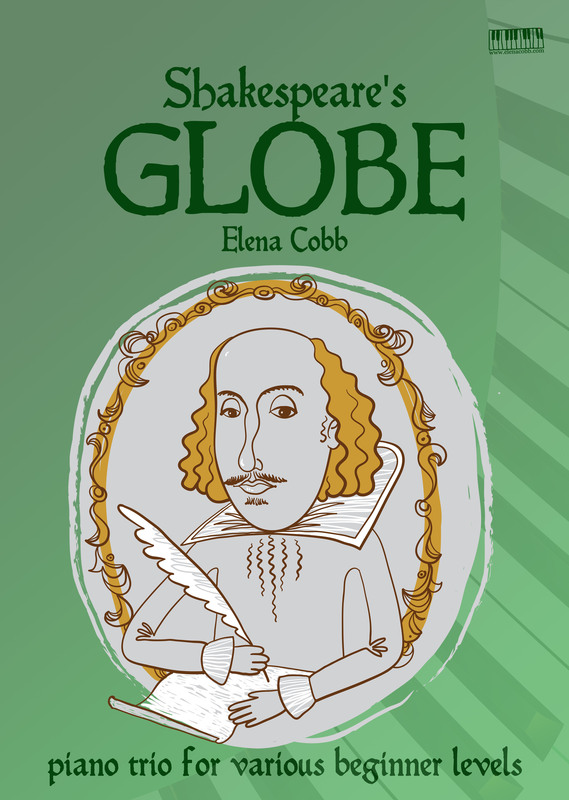 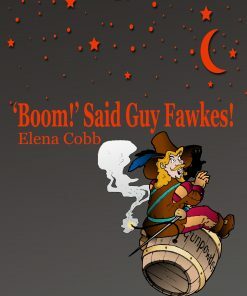 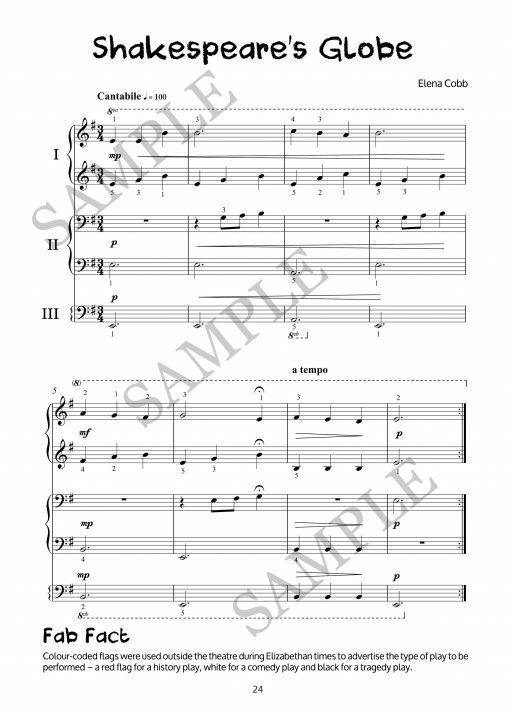 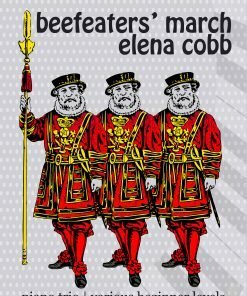 Shakespeare’s Globe piano trio by Elena Cobb is trio inspired by medieval style of music. 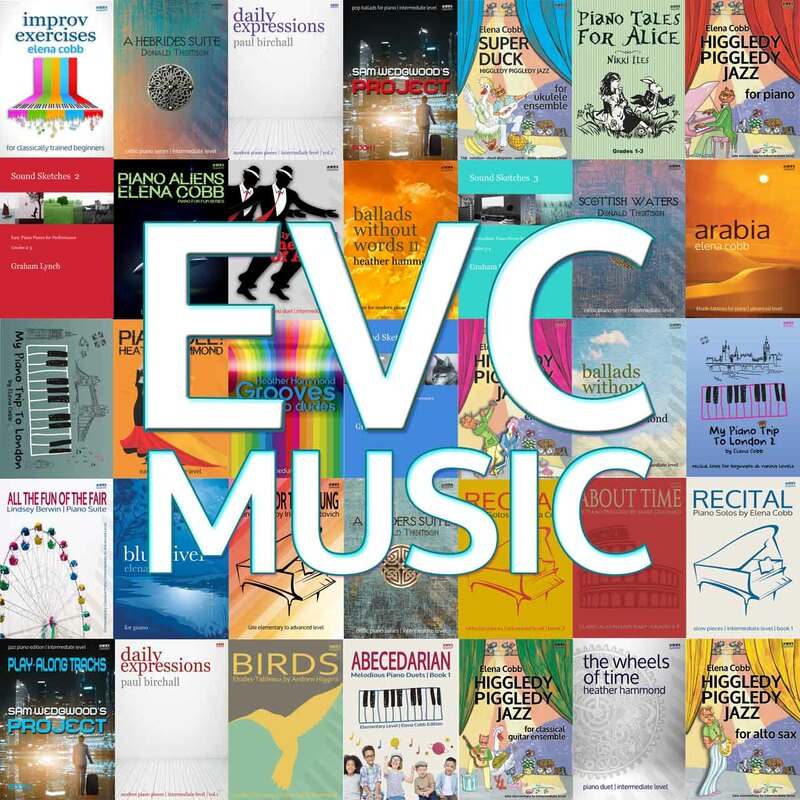 As the world is celebrating 400th Anniversary of Shakespeare, this trio would help to make a reference about a medieval music and how it sounded during the life of the great Bard. 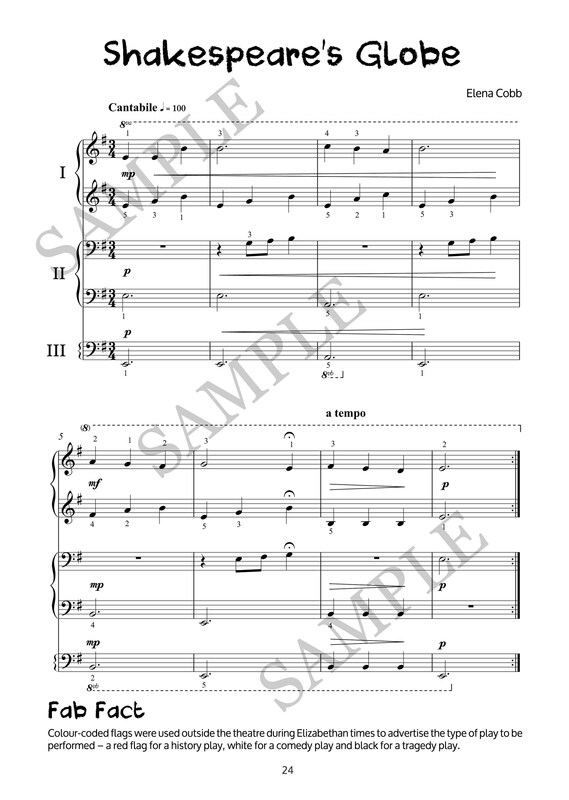 Part I – late elementary, part II – elementary, part III – primary.